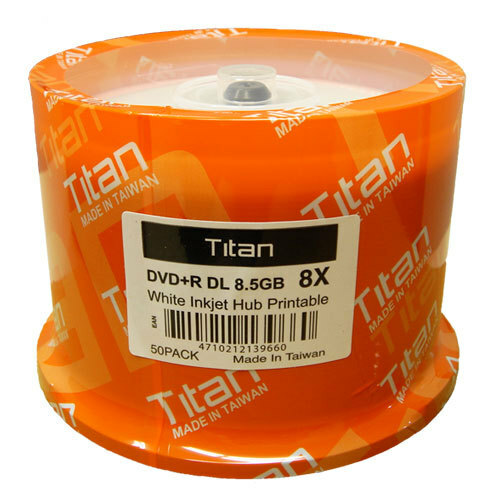 For all your entertainment needs, keep your digital files neatly stored on the Titan Duplication Grade 8x 8.5GB White Inkjet Hub Printable Dual Layer DVD+R. This Titan Dual Layer DVD+R disc has a recording capacity of 120 minutes for all your favorite videos, or up to 8.5GB of storage capacity for your files, documents and pictures. 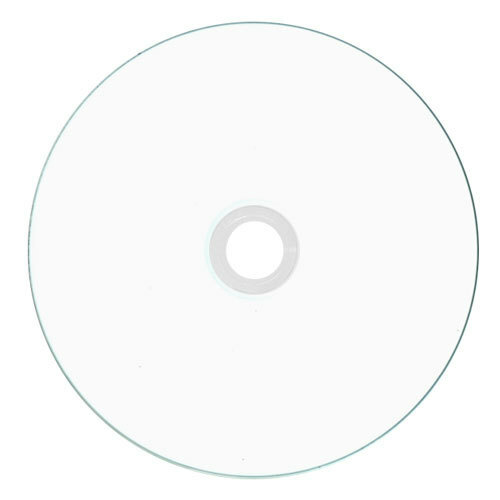 This Dual Layer DVD+R disc runs at a writing speed of 8x, thus providing you high-performance results every time. Organize your media today with the Titan 8x Dual Layer DVD+R 8.5GB!